It's here - the most coveted gift with purchase worldwide. 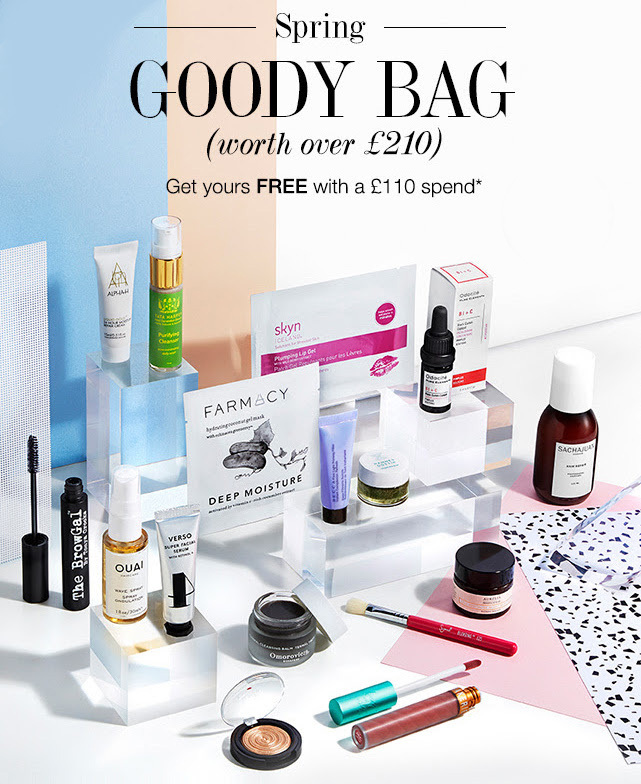 Cult Beauty's Spring Goody Bag is worth more than £210 and is free when you spend £110 on site. Time to buy the Huda Beauty Lip Mattes, or the Anastasia Beverly Hills Modern Renaissance Palette. I would rush - the bag is selling out fast; I've already got mine and will tell you my first impressions of the goodies once I receive them. This goody bag contains a full-sized matte liquid lipstick; one I have already reviewed on this blog here. And there is a range of makeup and skincare, from full- to generous travel-sized products. Scroll down for the contents of the Cult Beauty Spring Goody Bag 2017. Of course I had to get one. So what did I buy? Both the Alpha-H products are repurchases for me, and their Protection Plus Daily SPF50+ is the ONLY sunscreen I use on my acne-prone, oily skin. To get your Cult Beauty Spring Goody Bag 2017, go here. They ship worldwide, and their range of brands is SO good that I've already made my shopping list for my next haul.